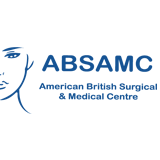 The American British Surgical & Medical Centre is a dedicated facility committed to providing the best possible care for its clients. As its name suggests, American British Surgical & Medical Centre has a strong association with the high quality western medical model. At ABSAMC, we pride ourselves on our patient-centric approach to healthcare, which means that care delivery is shaped around the individual and their condition.